Bingo Angel Lapel Pin for the Bingo player. 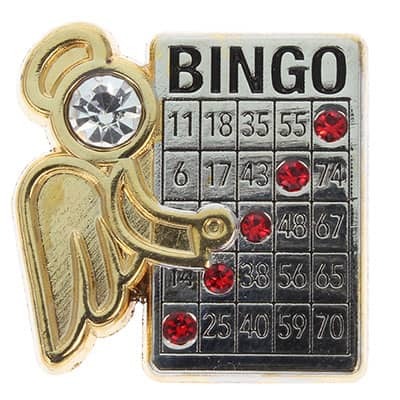 Wearing this Two Toned Bingo Angel pin may help you pick right card so all the right numbers come up so you can yell B-I-N-G-O! Maybe win a prize. All pins come on an explanation backer card. These pewter and gold pins measure 1 inch tall.